1) Look for opportunities in real-life situations. Remember the power outage in Superbowl XLVII back in 2014? 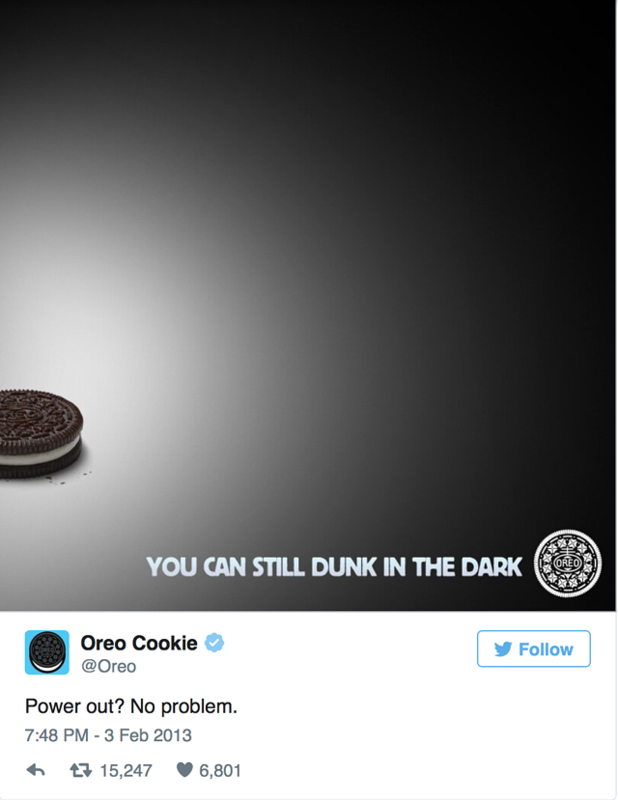 Oreo was quick to generate conversations in social media. The result? 14,000 people retweeted the ad. 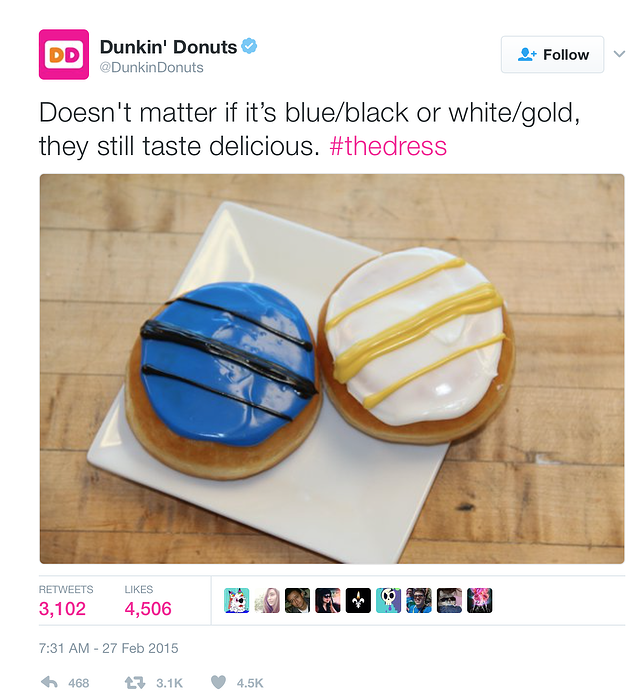 It was the dress that divided people into Team Blue or Team Yellow. There was a social media frenzy about the dress’s “actual color.” Friends argued. Scientists debated. Dunkin’ Donuts jumped into the fray, and won the Internet. Stay relevant with issues and trends that are important for your market. When there is a chance to integrate your brand, go for it. It’s winter, and it’s bitter cold outside. But you still have to go to work. All you can think of is staying warm. Think Coffee knows what to say and what to offer. Contextual marketing is tailor fitting your brand’s message to the different factors affecting your audience’s comfort. Even the weather. We live in the age of big data. Information about the audience – what social media channels they hang out in, what websites they visit, what ads they click - can be measured. These numbers and trends help us answer the BIGGER questions: What are they looking for and where are they looking? Contextualize the message that will best resonate with our audience. Ensure that our message will reach them, wherever they are. What is so important about context? First, it helps marketing become personal. As we know by now, the more personal the approach, the better. Second, context helps build trust. 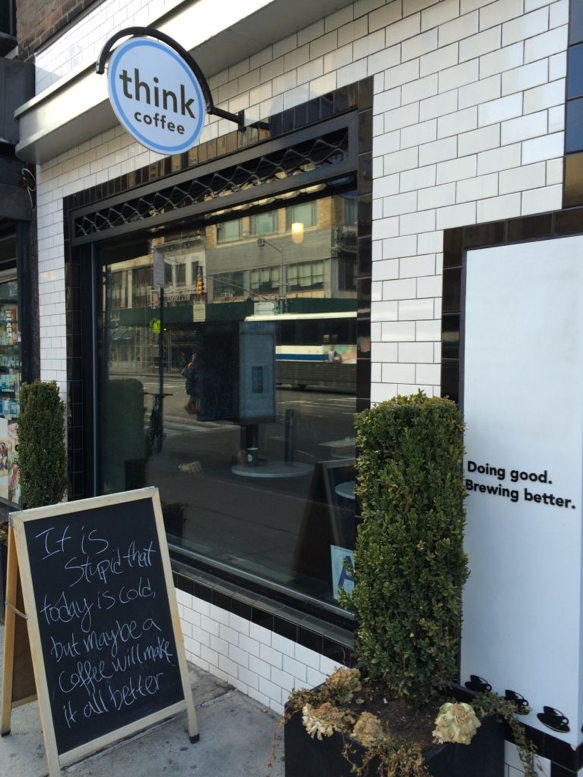 The more you contextualize the message, the more customers feel that you relate to them. Third, context makes you top of mind. When you’re there, offering what your clients want (sometimes, even before they realize it), you will be their go-to brand!